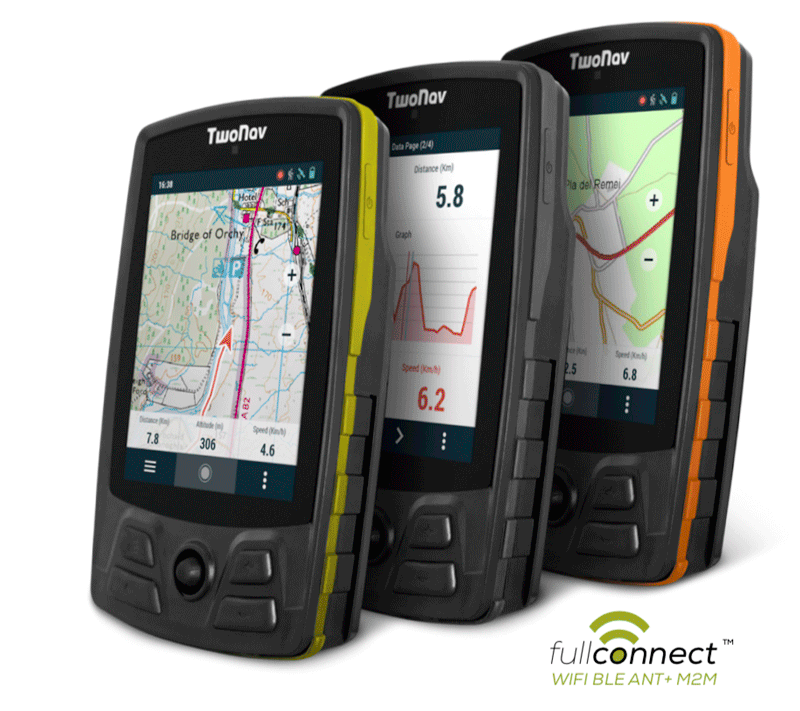 The Spain-based company TwoNav unveils new GPS devices for outdoor and cycling: TwoNav Aventura and TwoNav Trail. The 1st Aventura has hit the market in 2009 – the new 2018 model is completely redesigned and offers a 3,7″ touchscreen, a powerful battery, plenty of space for maps and GPS data and several interfaces: ANT+, Bluetooth, GPRS via built-in SIM card, Wi-Fi and USB. ANT+ and Bluetooth for external heart rate, speed and cadence sensors. Wi-Fi for software updates and cloud connection. GPRS for SOS messages and live tracking. The Trail is similar to the Aventura, but lacks the interchangeable battery and the microSD card slot. His battery is less powerful (4.000 mAh vs. 5.000 mAh) and the devices weights less (215 g vs. 250 g). Another device for cycling – the Trail Bike – has an integrated bike mount. Our table contains all available informations and technical data. Battery life 24 Std. 20 Std.